Aside from the fact that it is raining and it is Monday....I'm really not all that down, but I LOVE that song so I couldn't pass up posting the title! 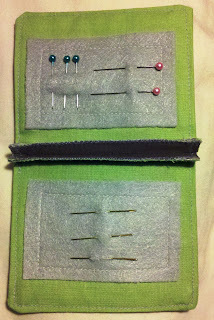 I had a wonderful weekend, despite the weather.....and got some stitching accomplished!! My hubby went out with his brother on Saturday evening, Kella skipped her afternoon nap so she went to bed early and Sebastian was hooked on either his laptop or his Xbox. 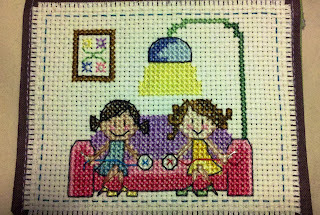 That left me with a good chunk of time to myself to stitch and catch up on the television episodes I missed through the week! 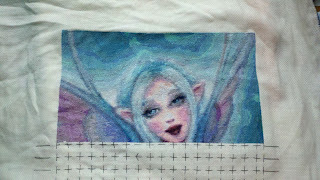 I've been soley working on HAED's this year, and I got an itch to work on something I could finish before Monday. 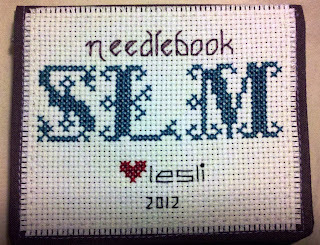 So I stitched ths cute little needlebook for a wonderful friend of mine that has recently picked up stitching again. I wrapped it this morning and sent it off in the mail! I hope she likes it! I also finished page 3 on Coral. It was a small page but finishing it puts me at about halfway complete! I am so loving how her face is turning out. Her eyes are so beautiful! ﻿﻿ One of the wonderful gifts I won from blog giveaways came in the mail during the week. I received this intricate Hand Dyed Cluny Lace Ric Rac Trim in beautiful Boysenberry from Nancy at the Victorian Motto Sampler Shoppe. Her blog can be found here and her eBay store can be found here. If you've never visited her blog, please take a moment to travel over there! I love all of her designs, and she is soooo generous, she has giveaways all the time! The picture doesn't do it justice! I need some ideas on what to use it on!! I'm thinking maybe some ornies for the holidays.....but I can't decide. I'd love to hear any ideas anyone has! I hope everyone has a fantabulous week! 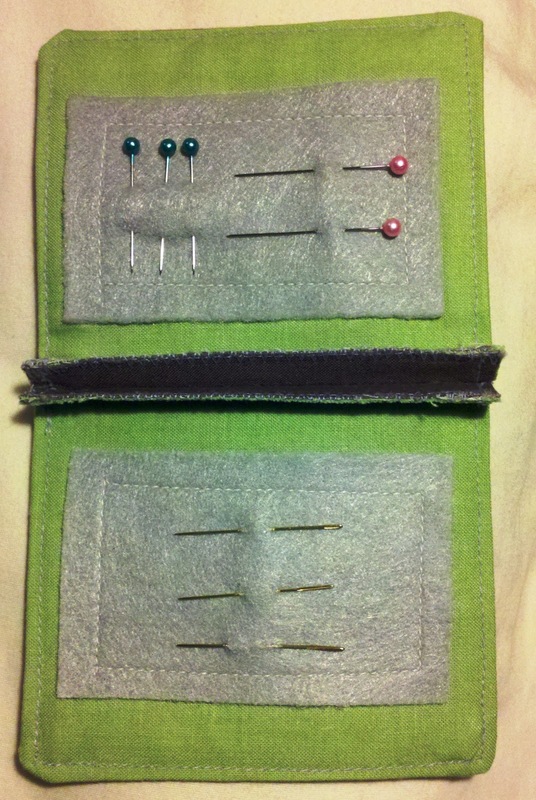 Love the needle book. I'm sure your friend will love it. Coral is gorgeous. Congrats on the page finish. The framed piece looks wonderful. The needlebook is lovely. Coral looks gorgeous. Your framed pieces are stunning. Your framed angel looks awesome. I'm sure your SIL's will love them. Congrats on your needlebook finish. Very thoughtful of you. Here Spring is coming early than expected.. I wish I could send you a bit of sunshine on your way!! Coral has beautiful colors! Blue and pink are my favorite :) She's looking gorgeous! 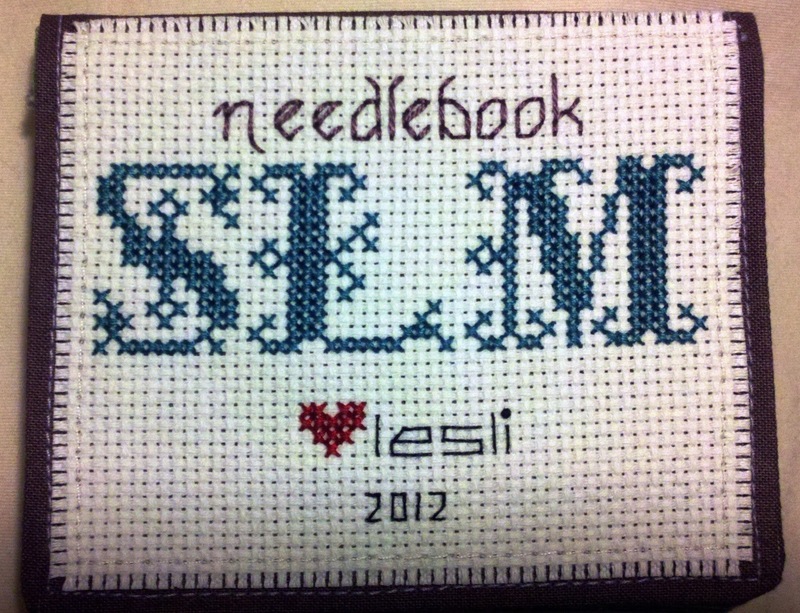 aww cute needle book..so sweet.. Cute needlebook. I'm sure your friend would love it. I know I would :) Coral is looking great. Beautiful framing on Angel of Hope. 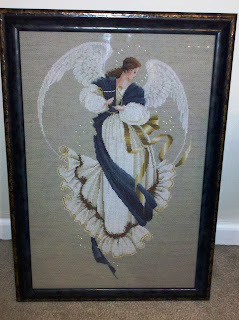 Angel of Hope is beautifully framed and Coral looks amazing. I love looking at pics of other peoples stitching! Looks great! 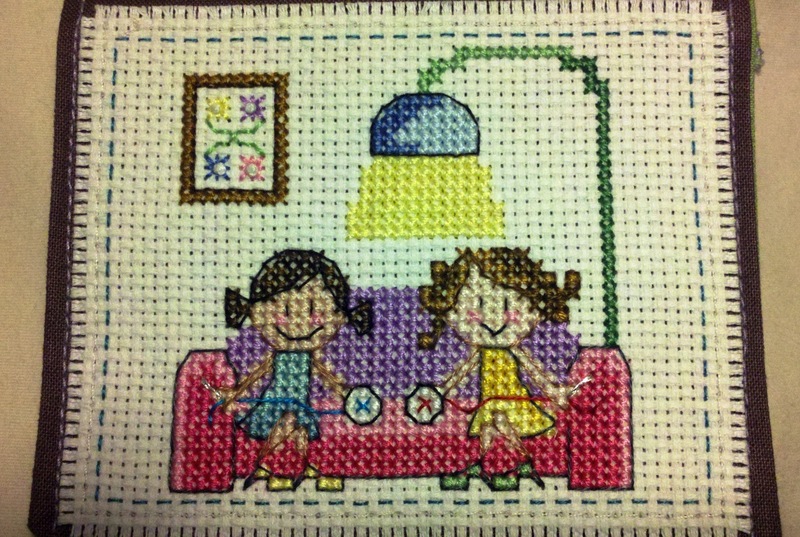 First finished project for 2012!